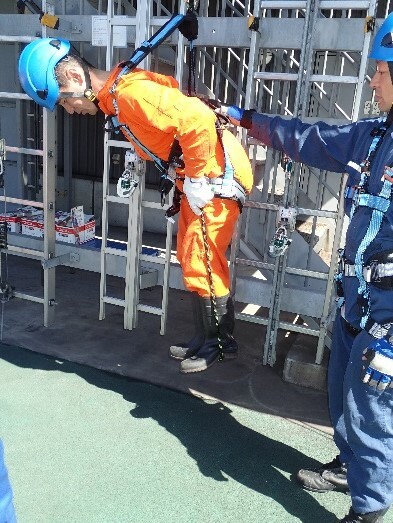 NSTC further contributes to the development of an increasingly sounder and safer offshore industry. It is getting rather cool in the morning and evening . 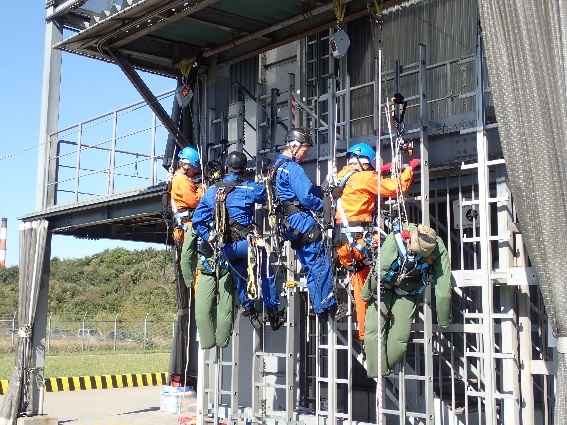 GWO Basic Safety Training (BST) has been held, October 5 – October 9. It was second GWO BST training in our center for this year. 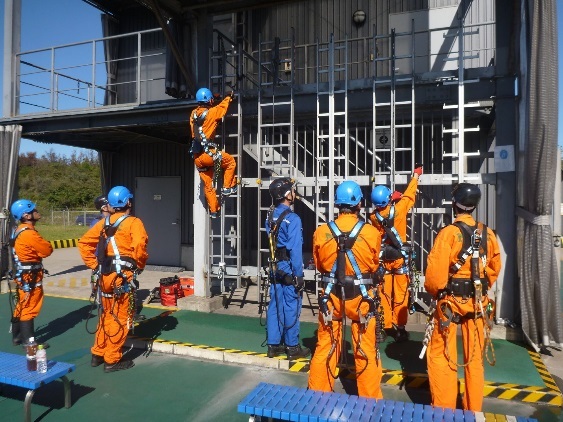 GWO BST (Global Wind Organization Basic Safety Training) is made for wind turbine technicians and personnel to acquire skills to respond in the event of emergency and to control and mitigate hazards within the wind industry . 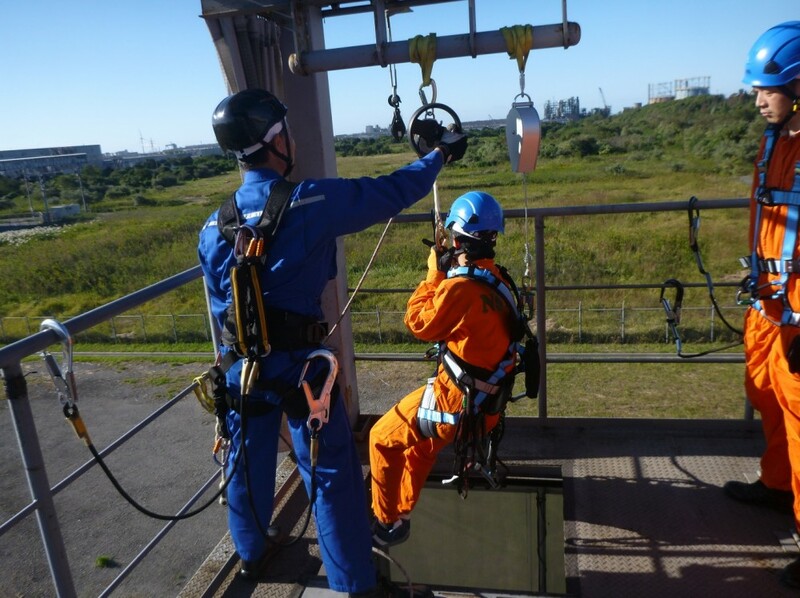 This GWO BST consists of 4 modules, i.e., Manual Handling, Fire Awareness, Working at Heights and First Aid, excluding Sea Survival from 5 modules of full BST course. I would like to introduce various practice briefly. 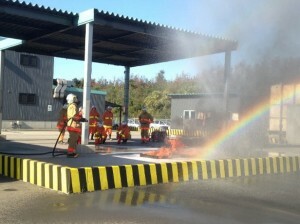 First of all, Fire Awareness module on the first day. 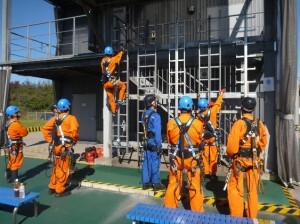 Next, Working at Heights module on the 2nd and the 3rd day. 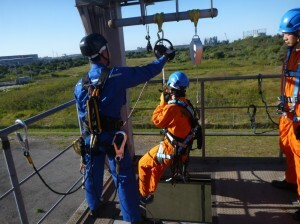 Basic techniques applied to working at heights and evacuation procedure. 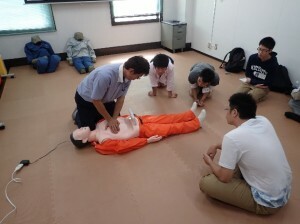 Day4 and Day5 were First Aid module. I would like to introduce one of the comments we had from the delegates. 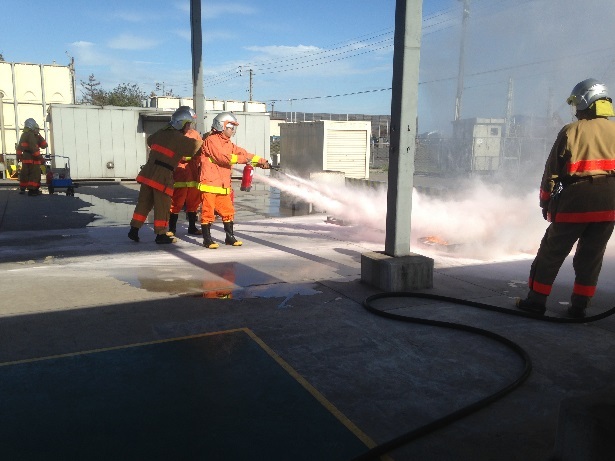 From NSTC: It’s our pleasure to hear that you could find our training informative for your work environment. 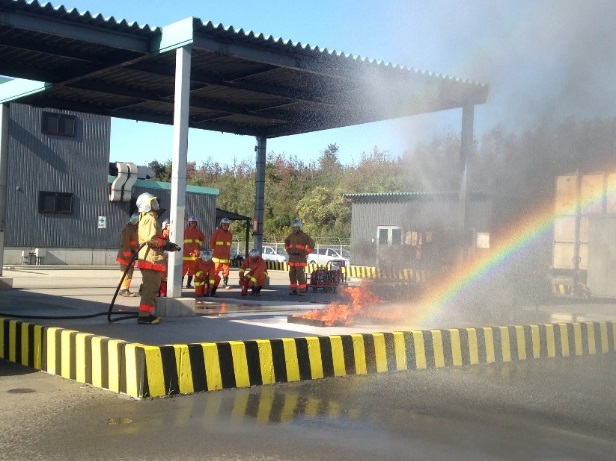 The training was very fruitful with very constructive discussion during the lecture and active participation during the practical, although the training lasted for 5 days long. 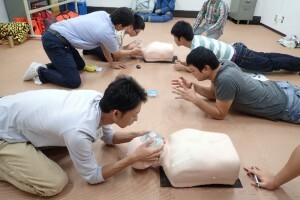 We, as a staff, also had much to learn throughout the training. 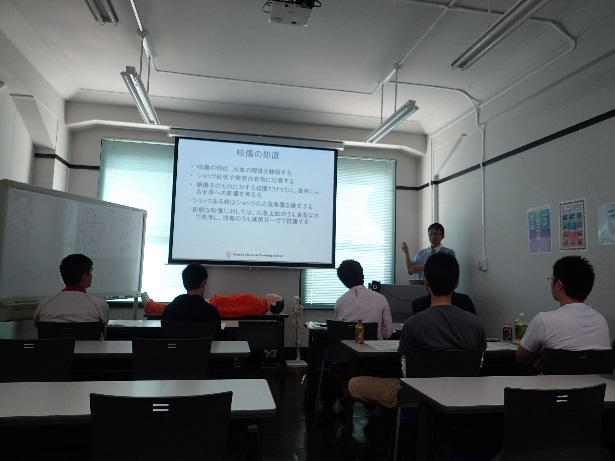 Thank you very much for joining the training! 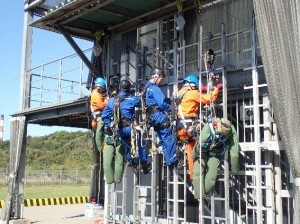 Copyright © 2011 Nippon Survival Training Center, All Rights Reserved.